Baja Grill serves up some damn good burritos and tacos, but it’s easy to forget that the Cuban taco, which is loaded with shredded, chipotle aioli, sour orange red cabbage-jicama slaw, fresco cheese, and avocado, is really one of our better tacos in town. At $4.50, it’s not cheap, but it’s fairly substantial, making it a good value. I popped into Blue Sail Coffee, downtown Little Rock’s newest coffee shop, over the weekend and really enjoyed both the coffee and the atmosphere. Blue Sail is located inside the Technology Park building at 417 Main Street. My iced coffee was excellent. Sorry, that’s about all I can report on at this point. Go check the place out and let us know what you think. Props to Local Lime. My daughter loved the crab cake tacos during a recent lunch pop-in. A week later, I was at the bar for the best margarita in town. Service was excellent on both visits. Trio’s has this crazy cake on the menu called “The Brookie.” It’s a triple layered monstrosity of brownie, Oreo cake, and chocolate chip cookie dough “cake.” I’m not sure when it will make its way back onto the menu, but I’m guessing it will very soon. Your best options is to probably keep an eye on Trio’s social media for an update. The cake is excellent, but it’s a total gut bomb, and is definitely best shared between ten of your friends. Ok, maybe three of your friends. South on Main‘s dinner menu offers a great, shareable appetizer called “The Spread.” Diners can choose three jars from these options: smoked oysters, beer cheese, deviled ham spread or chicken liver mousse. I opted for the first three, given that I’d rather it a sack of dried cat turds than chicken liver mousse. Any who, this is a fantastic meal starter, and if you’re anything like me, all three things end up working there way onto the same wedge of bread. If you haven’t already, please go check out The Water Buffalo. I did for the first time last Friday and really enjoyed the place. It’s a true neighborhood watering hole with plenty of craft beers on tap. The setting won’t blow you away with its beauty but the place is a gem. Home brew enthusiasts will also love The Water Buffalo, as they have all sorts of equipment. 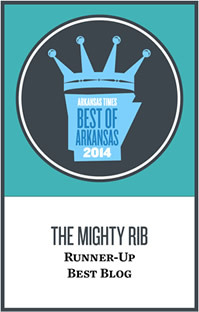 No surprise here … I went to the Arkansas Heart Hospital last Friday for a bowl of $5.55 ramen. It was filled with crab meat, scallops, and pure joy. There were other ingredients, but pure joy was the main one. Reminder, the ramen is only on Monday, Wednesday, and Friday from 11 a.m.-2 p.m. 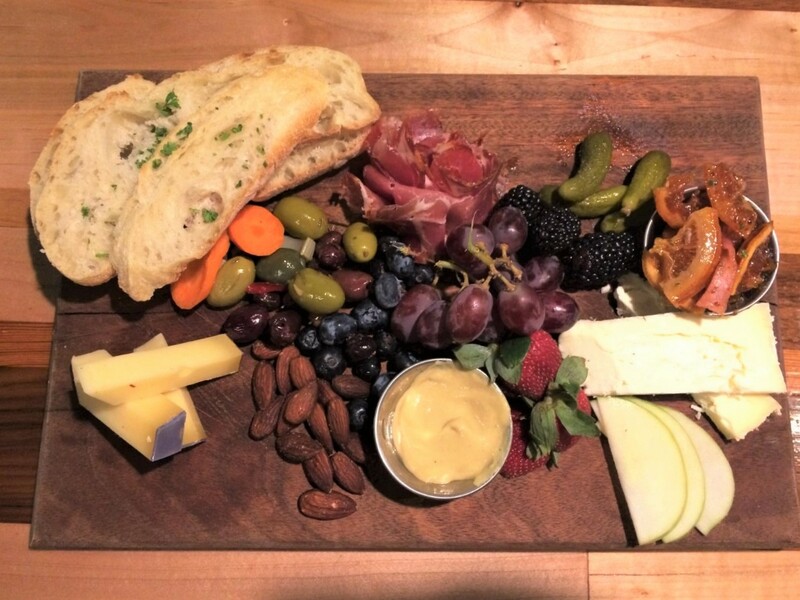 The meat and cheese board at Boulevard Bistro is a must-order. At the Corner is quickly becoming one of our best breakfast options in Little Rock. I sat at the bar and devoured The Big Dutchman Burrito. Well, I ate half of it. As the name states, it’s big. The burrito is stuffed with sausage, egg, cheese, onions, bell peppers, potatoes, and red pepper jelly, and is served with jalapeno sour cream on the side. Get this burrito! That’s an order. Honey Pies now has peach pie available. I’ve had it before and it’s excellent. My kids ordered two minis yesterday and loved them.